Claire’s story highlights just how possible so many things are when we go after them. As a competitive cheerleader growing up, the thrill of competition has been part of what drives her. She is a very active story teller and my advice is to give her some space when she’s talking. As a wonderful mother of 2 very active boys, her nursing background is put to good use. 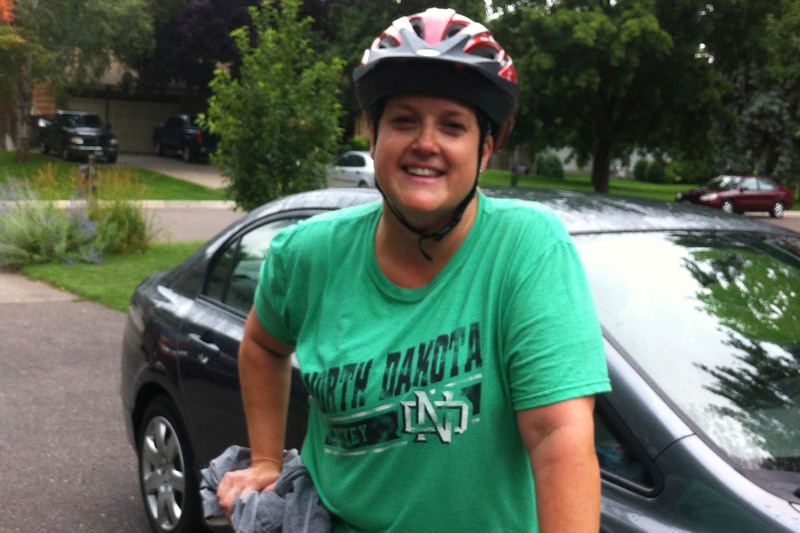 Claire has raced in the 2013 IronGirl Duathlon and the 2014 Minneapolis Duathlon relay. 2. Did you compete in sports growing up? I was a competitive cheerleader in high school and college. I cheered for football, basketball and hockey so I have always loved those sports. I played basketball and soccer in middle school before I started cheerleading. 3. Why do you train and compete? I like the competition.. with others and myself. I love the feeling of knowing that I’m in a race and the possibility of beating that person in front of me. I also like to beat my time from the race before. I also love the feeling of success when I have crossed the finish line! 4. What is the hardest part about the training? Just doing it! Finding the time and making it a priority with family and other commitments. Also…running. I hate running but I know I have to do it in a duathlon so I push through it. 5. What do you enjoy most? I love riding my road bike! I feel like I can go anywhere and do anything when I’m on it! 6. What did you learn most about yourself? That I can do anything I put my mind to! When I first thought about riding my bike for 20+ miles I thought I would never be able to do it. But I did…and actually liked it! 7. What surprised you about yourself that you didn’t know? That even though I am not the weight that I would like to be, I can still participate in sports and feel successful. 8. Tell us about your favorite race or one you are most proud of. 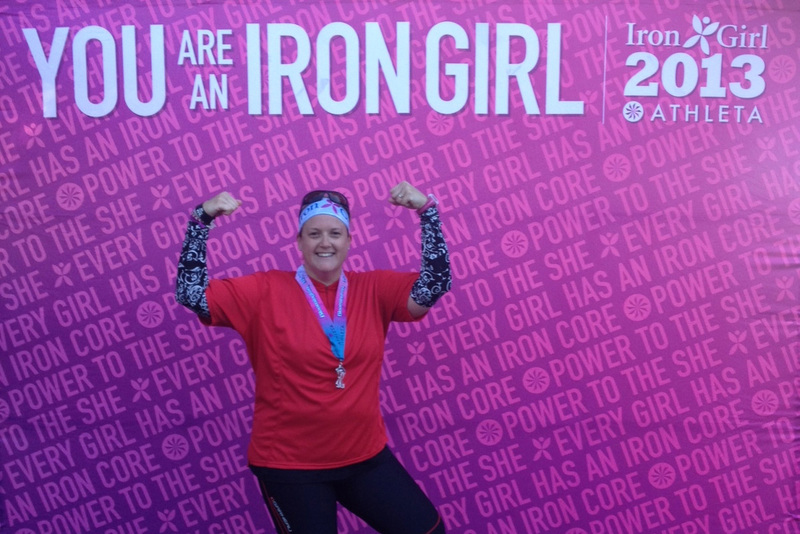 I am most proud of IronGirl! That was my first race and the longest that I have done. 10. Do you have any funny race or training stories? I peed just right off the course in the park at the IronGirl race. I knew I couldn’t keep running if I didn’t so the girls at the water table pointed out a tree and off I went. 11. What’s the best race sign you’ve seen? I never look! I’m always thinking about what I’m doing…maybe I will next time. 12. What was something unexpected you learned during race day? That everyone is so supportive of each other. Even though it is a competitive sport, people just want to have fun and support each other at the end of the day. 13. 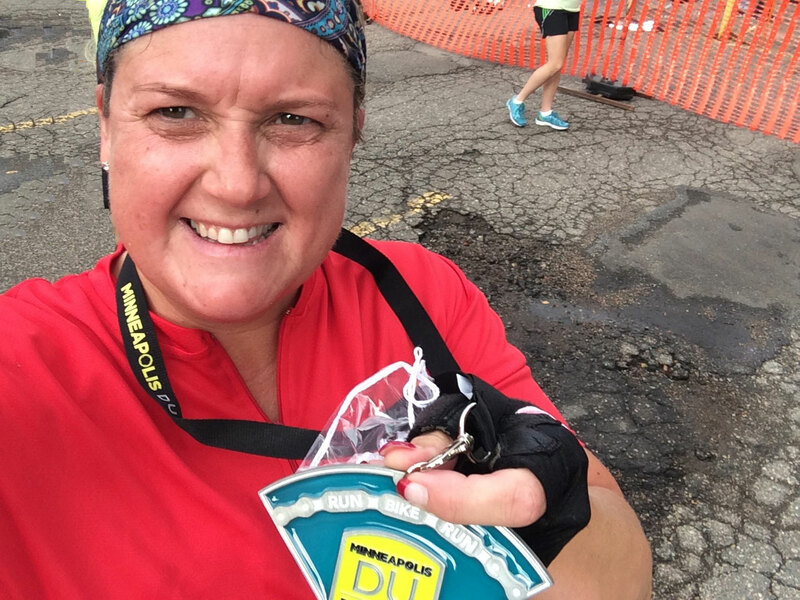 What would you say to others thinking about training for their first race? DO IT!!!! It is so fun! I wish I would have started earlier in life. 14. What is your favorite piece of equipment? My road bike! It was a friends bike and I used it for my first race and was able to buy it from her. I absolutely love it! 16. Are you a data geek? Does data play a part in your training? No. The most geeky thing I use is my phone with Map My Ride on it. 17. What race(s) are on your 2015 calendar right now? 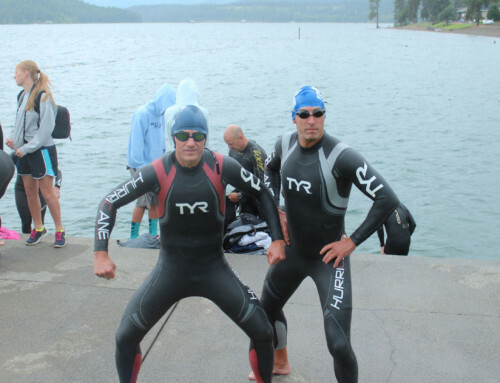 Lakeville Esprit deShe Duathlon in May 2015. 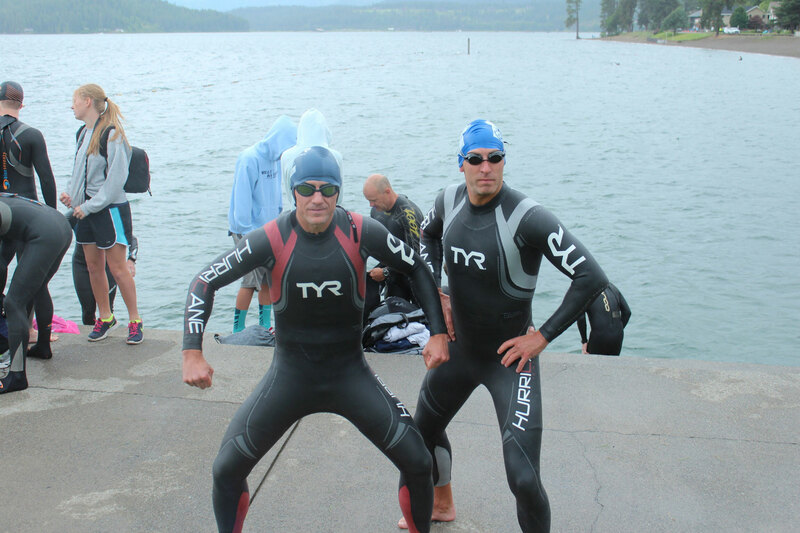 I would also love to do Wingman Triathlon as well but need to start swimming. Claire, you have a great story. Thanks for sharing! Thanks Abby for commenting! Pick a race and your story will be next.